With both Damian Lillard and Anthony Davis expected to figure in one of the tightest Rookie-of-the-Year races in years, I got to thinking – how have the most recent ROYs actually done? How have their careers panned out? Overall Assessment: Amar’e has always been regarded as a top-tier big man. His combination of height and mobility is rare even in the highest level of basketball. There are, however, two main issues with him – his knee problems and his inability to transcend from top-tier/All-Star to championship-caliber/all-time great. Considering how eight other guys were picked ahead of him in the 2002 Draft, though, including Nikoloz Tsikitishvili, Dajuan Wagner, and Chris Wilcox, it’s safe to say that Amar’e Stoudemire has exceeded expectations. Overall Assessment: If I wrote this last year, I would’ve happily said that he fell short of expectations, but now that he possesses a genuine NBA Championship ring, I can grudgingly say that he has met expectations. The only reason I’m holding back on saying LBJ has exceeded expectations is simply because the expectations of him are extraordinarily stratospheric. One title – in a truncated season – might not be enough to put him right up there with Jordan, Bird, Magic, Wilt, Kareem, and, yes, Kobe. He needs to continue breaking records and winning titles to have a clear shot. Judging by his current production, however, I’m quite sure that LeBron’s trajectory is certainly good enough to eventually exceed expectations. Awards: None, other than his ROY and Rookie First Team citations. Overall Assessment: We can throw away the fact that Okafor’s career stats are generally below his rookie stats, and still come up with the obvious conclusion that, despite norming a double-double in each of his first five seasons, he has definitely failed to meet expectations. All we really need to do is look at some of the people taken after him in 2004 – Luol Deng, Andre Iguodala, Al Jefferson, Josh Smith, and Sasha Vujacic (yes, he was with Maria Sharapova for a looooooong time remember?). Currently, Okafor is having his worst season, averaging under 10 points and under 8 rebounds in under 30 minutes per game. Overall Assessment: In hindsight, it’s easy to condemn Milwaukee, Atlanta, and Utah for passing on Paul. The Bucks took Andrew Bogut, the Hawks took Marvin Williams, and the Jazz took Deron Williams. Of those three guys, only Deron is a “forgivable” pre-Paul pick – again, in hindsight. Having expressed this, and considering his achievements, it’s a no-brainer to blurt out that Paul has undoubtedly met expectations. Given how his Clippers are on-track to have one of the best seasons in franchise history, though, he has a great chance to perhaps exceed them. 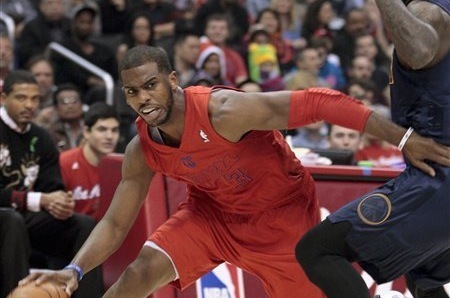 of Chris Paul in 2005. - NBA All Star: 2008-2010. Overall Assessment: Brandon Roy had the potential to be one of the modern game’s great ones, but, alas, his persistent knee injuries caused him to issue a premature retirement in 2011. He came back this season, but his numbers haven’t nearly been as great as they once were. For that, Roy can be classified as a player who, quite unfortunately, failed to meet expectations. In Part 2, I’ll take a look at the ROYs from 2007-2011. 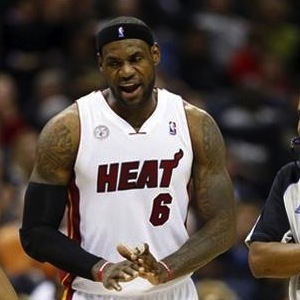 LeBron James filled the stat sheet with 27 points, 12 rebounds, eight assists and four steals as the Miami Heat handed the Charlotte Bobcats their 16th straight loss with a 105-92 triumph. Dwyane Wade tallied 13 of his 29 points in the fourth, while adding nine rebounds and five assists for Miami, which has won six straight. Kemba Walker netted 27 points to lead the Bobcats, who have dropped nine consecutive contests to the Heat. Wednesday's game between the Chicago Bulls and the Indiana Pacers at Bankers Life Fieldhouse has been postponed due to weather conditions. Significant snowfall has blanketed the area. The game will be rescheduled at a later date. The tandem of Robin Lopez and Greivis Vasquez helped the New Orleans Hornets avoid matching a franchise-record losing streak with a 97-94 victory over the Orlando Magic at the Amway Center. Lopez finished 9-of-10 with 29 points, one shy of his career high, while Vasquez established a personal best with 27 points. He also compiled eight assists and six rebounds. Rookie Anthony Davis contributed a 12-point, 11-rebound double- double for the Hornets, who had dropped 11 in a row, one shy of their worst streak set from Jan. 19-Feb. 14, 1990. Ryan Anderson scored 15 points in his return to Orlando. He faced the Magic for the first time since they dealt him to the Hornets this past summer. Jameer Nelson had a season-high 28 points and 10 assists for Orlando, which has lost three consecutive games and five straight in the series. Nikola Vucevic supplied 19 points and nine boards against the Hornets, but missed a game-tying 3-pointer from the right wing in the dying seconds. Tristan Thompson laid in the go-ahead bucket with 24.4 seconds remaining and the Cleveland Cavaliers hung on for an 87-84 win over the Washington Wizards on Wednesday at Verizon Center. Thompson finished with 15 points and 12 rebounds and Kyrie Irving netted a game-high 26 points to go with six rebounds and eight assists for the Cavaliers, who have won back-to-back games after losing six in a row. Daniel Gibson and Alonzo Gee donated 10 points apiece in the triumph. Emeka Okafor scored 17 points and grabbed 10 rebounds, while Jordan Crawford netted 17 points on 7-of-15 shooting for the scuffling Wizards, who lost for the eighth consecutive game. Nene gave 16 points and seven rebounds, while Martell Webster contributed 12 points and 10 boards in the setback. Josh Smith and Al Horford combined for 53 points to lead the Atlanta Hawks to a 126-119 double-overtime win over the Detroit Pistons on Wednesday. Smith had 31 points to go with 10 rebounds, six assists and two blocks and Horford chipped in with 22 points and 10 boards. Lou Williams added 18 points, eight rebounds and seven assists, while Jeff Teague netted 17 points and handed out 11 assists for the Hawks, who have won back-to-back games. Will Bynum had 31 points off the bench while Andre Drummond and Rodney Stuckey added 16 points apiece for the Pistons, who had a two-game winning streak snapped. Drummond also pulled down 12 rebounds and Stuckey had 11 assists in the setback. Starting in place of Jason Richardson, Dorell Wright nailed five 3-pointers and finished with 28 points in the Philadelphia 76ers' 99-89 win over the Memphis Grizzlies. Spencer Hawes registered 20 points and nine rebounds off the bench, while Jrue Holiday added 13 points and nine assists for Philadelphia, which snapped a six-game road losing streak. This was the second of an eight-game road trip for the Sixers, who lost the opener of their swing against the Brooklyn Nets. Zach Randolph finished with 23 points, nine rebounds and four steals for the Grizzlies, who fell to 12-3 at home this season. Brandon Jennings netted a game-high 25 points and handed out six assists as the Milwaukee Bucks continued their recent dominance of the Brooklyn Nets with a 108-93 victory on Wednesday at the Bradley Center. Monta Ellis scored 20 points on 7-of-14 shooting, while Mike Dunleavy added 17 points for the Bucks, who have won 13 straight games against the New Jersey/Brooklyn franchise. Ersan Ilyasova donated 17 points and 11 boards and Larry Sanders added 12 points and 12 rebounds in the victory. Brook Lopez scored a team-high 21 points and ripped down 10 rebounds, while Andray Blatche netted 14 points to go with five rebounds for the Nets, who haven't topped the Bucks since March 3, 2009. Joe Johnson and Keith Bogans contributed 13 and 11 points, respectively, for Brooklyn, which was missing star point guard Deron Williams, who sat out with a bruised right wrist. 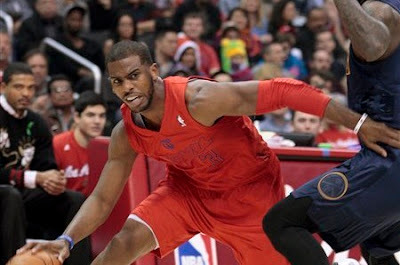 James Harden connected twice on drives to the basket in the waning moments to lift the Houston Rockets to an 87-84 victory over the Minnesota Timberwolves. Harden scored 17 of his 30 points in the fourth quarter as the Rockets overcame a 14-point deficit to notch their fifth straight win. Chandler Parsons had 12 points and Carlos Delfino added 11 for Houston. Jose Juan Barea supplied 18 points to pace the Timberwolves, who had their home winning streak snapped at five games. They have dropped four of five overall. Kevin Love struggled in his return to Minnesota's lineup after missing the previous game with an eye injury. He shot 3-of-14 for seven points and grabbed 12 rebounds. Tim Duncan scored a game-high 15 points to go along with six rebounds as the San Antonio Spurs cooled down the Toronto Raptors with a 100-80 decision at AT&T Center. Manu Ginobili followed with 14 points, while Tony Parker added 13 and seven assists for San Antonio, which won its third straight game. Alan Anderson and Amir Johnson each netted 12 points to pace the Raptors, who had their season-high five-game win streak snapped. Terrence Ross and John Lucas III scored 11 points apiece off the bench in a losing effort. Corey Brewer came off the bench and buried six 3-pointers en route to 27 points on Wednesday, as the Denver Nuggets downed the Los Angeles Lakers, 126-114, at Pepsi Center. Kenneth Faried finished with 21 points and 15 rebounds and Ty Lawson added 17 points and 14 assists for the Nuggets, who have won two of their last three. Andre Iguodala stuffed the stat sheet with 17 points, 11 boards, seven assists and three steals, while Danilo Gallinari donated 19 points and Kosta Koufos added 10 in the victory. Kobe Bryant poured in a game-high 40 points and Pau Gasol followed with 19 points for the Lakers, who had their five-game win streak snapped. Dwight Howard finished with 12 points and seven rebounds before being ejected in the third quarter when he was whistled for a Flagrant 2 foul for a blow to the head of a driving Faried. J.R. Smith hit two off-balanced jumpers in the final 10.6 seconds, including a baseline 21-footer with a hand in his face as time expired to give the short-handed New York Knicks a 99-97 victory over the Phoenix Suns at US Airways Center. With Carmelo Anthony and Raymond Felton sitting with injuries, Smith took the big shots in crunch time, his first a fadeaway from the top of the key to tie the game, 97-97, with 10.6 ticks to play. Tyson Chandler then forced Sebastian Telfair to step out of bounds on the ensuing possession, giving the Knicks the ball back with one second on the clock. A timeout put the ball along the sideline past midcourt, and Jason Kidd fed Smith as he was falling away from the basket. Despite P.J. Tucker being draped all over him, Smith rose and sent the ball through the hoop just as the clock struck zero. Smith finished with 27 points, while Jason Kidd added 23 points, eight assists and six rebounds for New York, which was coming off a loss to the Lakers on Christmas Day. Chandler totaled 14 points and 12 rebounds in the victory. Stephen Curry scored a game-high 23 points and had seven assists to lead the Golden State Warriors to a 94-83 win over the Utah Jazz on Wednesday. David Lee had 18 points and nine rebounds, while Klay Thompson and Jarrett Jack added 15 points apiece for the Warriors, who have won nine of their last 12 games. Al Jefferson dropped in 18 points and grabbed 10 rebounds and Paul Millsap chipped in with 14 points for the Jazz, who lost at home for just the third time this season. Enes Kanter had 10 points while Derrick Favors, Gordon Hayward and Alec Burks each scored nine in the setback. LaMarcus Aldridge, J.J. Hickson and Damian Lillard each recorded double-doubles, as the Portland Trail Blazers rolled over the Sacramento Kings, 109-91, to conclude a home-and-home set at the Rose Garden. Aldridge finished with 28 points and 12 rebounds, Hickson contributed 17 points and 14 boards, and Lillard had 17 points and 11 assists for Portland, which has won six of its last seven. Nicolas Batum added 18 points, six rebounds and five assists in the victory. John Salmons paced Sacramento with 19 points and Isaiah Thomas followed with 12 for the Kings, who have lost seven of their last nine.